In this week's Craft Corner, we have dolls and beach represented! Terry Jeanette of the Tappingflamingo, shows a colorful gemstone chip necklace, but it also has a fun pendant. 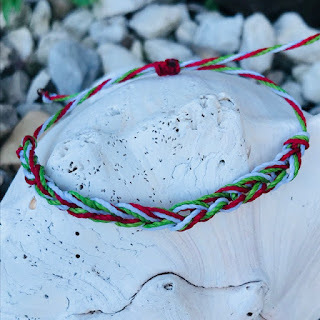 Check out what she did with some sea glass a friend of her's brought back from a recent trip. 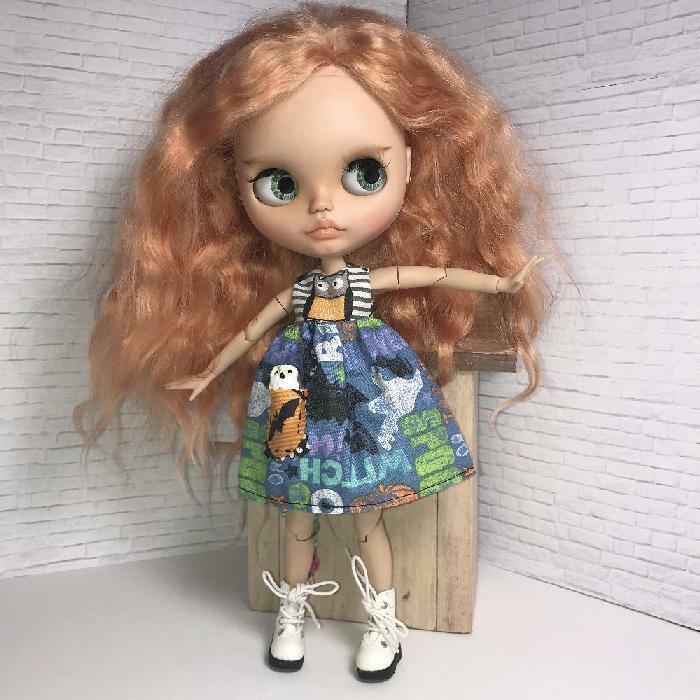 Etsy has made more changes to its selling guidelines, and Tammy (Crafty Princess) is attempting to catch up to all of this so her little doll shop doesn't get left in the SEO dust. 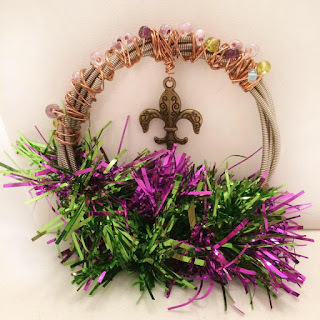 In this week's Beading Arts, we have a tutorial for a fun necklace she made for a young lady. Y'all have a wonderful week!!! 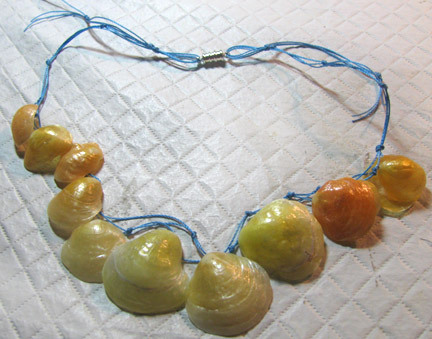 I love to beachcomb, but sadly, I have never found any sea glass. My friend brought me some pretty pieces from a beach up in Massachusetts. I took a couple of the pieces of glass, and wired them into a sailboat. Then I added it to these colorful gemstone chips and beads. 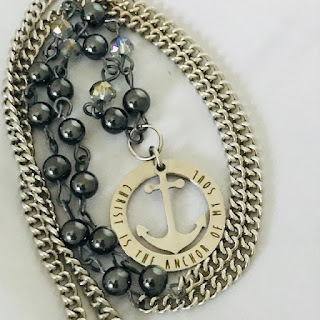 I absolutely LOVE this necklace. What do you think? Here are some links to some very talented artists! 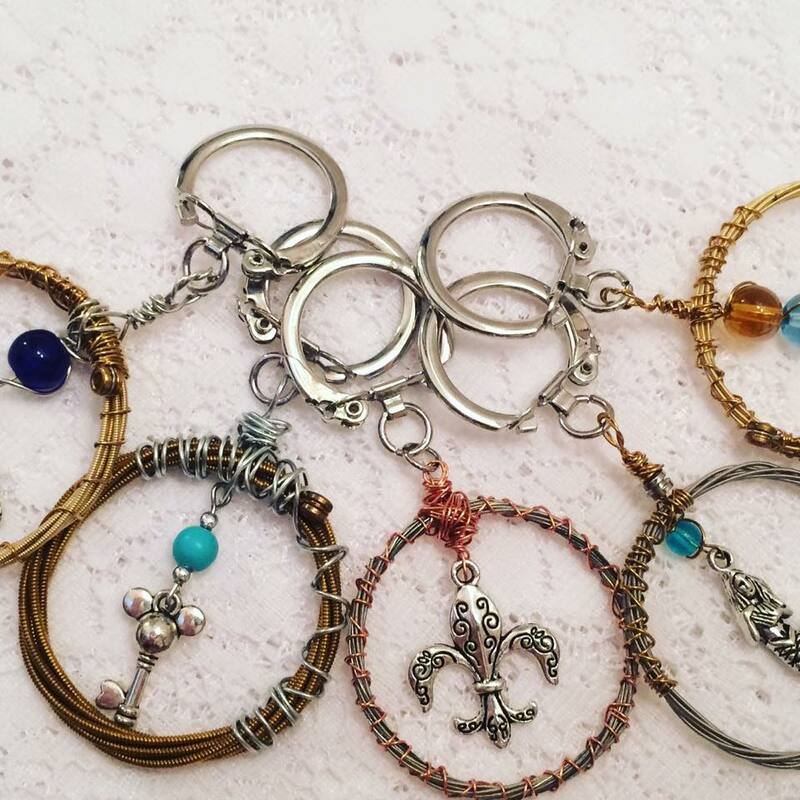 Tammy, aka The Crafty Princess, is making jewelry for doll collectors to wear. 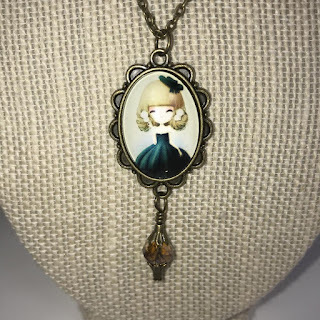 I'm not a doll collector, but I would wear these Victorian style pieces! In the third installment of the Allegory Gallery Interviews podcast, artist Jen Palmer talks about her background and her connection to art as a source of healing. 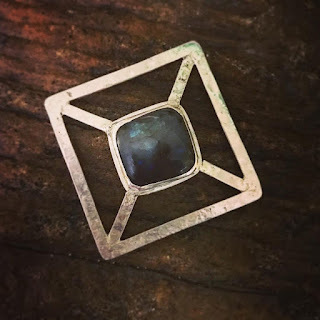 Andrew creates a geometric pendant inspired by Blake Crouch's book, "Dark Matter". 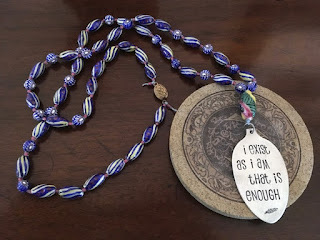 Ann of BeadLove blog uses some vintage, hand painted beads with a new pendant to create a pretty necklace. 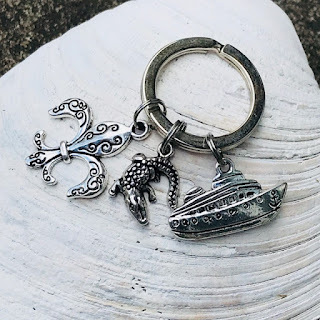 Terry Jeanette of the Tappingflamingo loves to cruise, and shows off some of her best sellers, which happen to be cruise gift exchange ideas...sometimes called Fish Extenders! I am honored to be a part of a special group of ladies called Southern Sass. We are line dancers from our local senior center, and we perform at various venues around our area. The costumes we wear varies from western wear to poodle skirts. This week, we will be wearing t-shirts that say, "Boots, Class and a Little Sass!" We have a huge function that we will be dancing at, and we are excited! I wanted something that reflected my beliefs, but something that fit my personality too. I searched the web and found this pendant that really spoke to me. 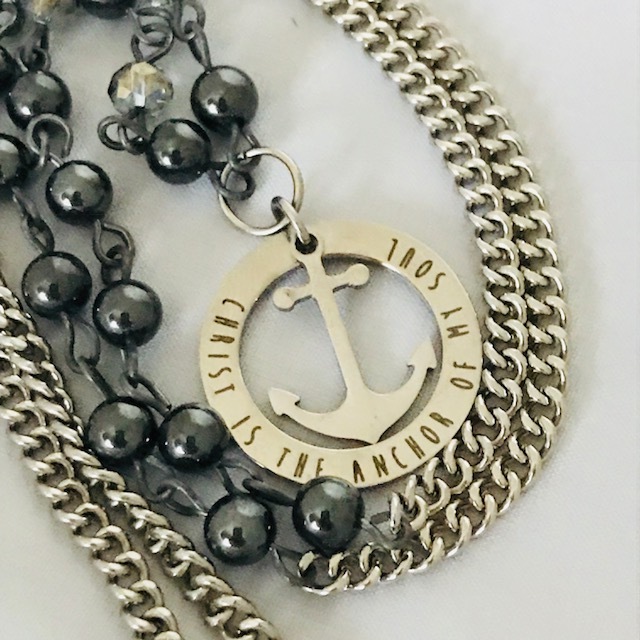 "Christ is the anchor of my soul" is stamped onto a silver tone circle. An anchor hangs in the middle of the circle. The person that designed this had entered a contest for a Christian bookstore, and was chosen as the winner. 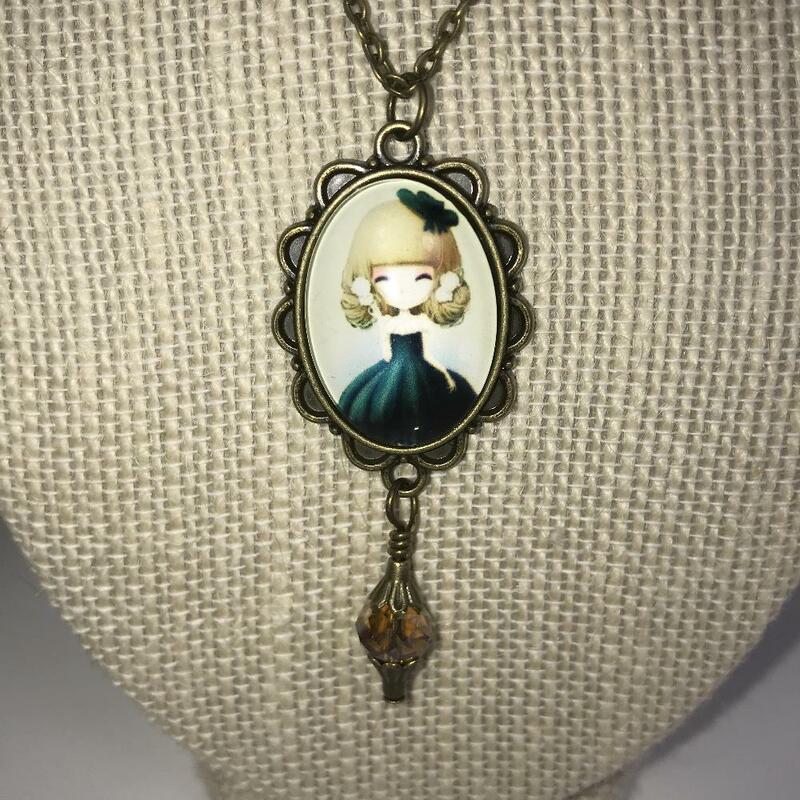 Now they sell this pendant which comes on a small silver chain. I did a little research on anchors and Christianity, and learned that Christians wore the anchor as a symbol of their faith. If you look at an anchor you can see the cross. 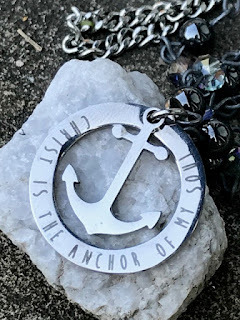 The anchor is a symbol of hope. In ancient times, the anchor was a symbol of safety. It helps the boat to stay in position and from drifting away in currents. 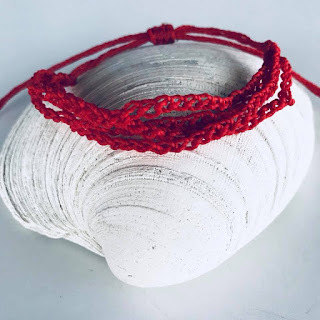 Currents can represent the hard times we go through in life, and Christ is our anchor to help us remain stable. I thought this was a prefect piece for me to wear; but the steal chain it came with was a little plain...I needed to have a little more "bling." I looked through my stash of beads, and found hematite beads. 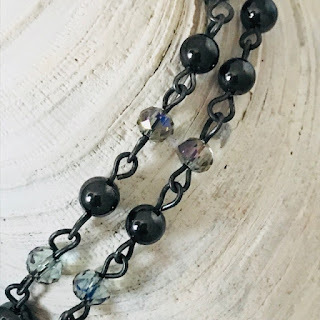 Hematite is a stone that can keep you safe, it can strengthen your spirituality, and keep you focused. All of these things are important when we perform; safety as we travel to our destination, focusing on the steps, and as far as spirituality goes, most of the places we dance at are places where people are strong in their religion. 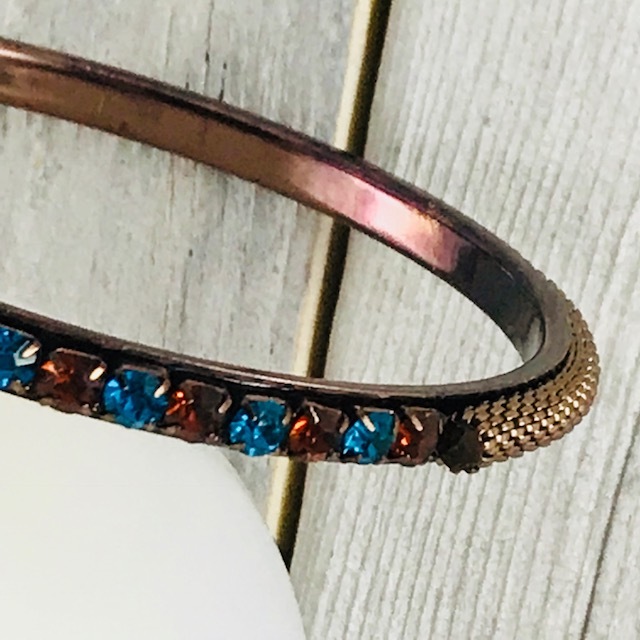 I wanted a bit of bling for this piece, so I added some smokey crystals. Then, I added a long chain with no clasp for easy on and off, and I was good to go! I love this piece, and wear it almost every time we dance at these places. Have you ever been on a cruise? The first time I went was back in 2003 with my husband, for our 20 anniversary. We pretty much go at least once a year now. I LOVE CRUISING!!! There are a lot of people who love to cruise, and there is a wide variety of activities on these ships. Anything from drinking and gambling, to water slides, towel folding, art auctions, and even gift exchanges. My mom, two sisters, and I decided one year to take our one and only Disney cruise....back in 2015. One of the things we learned about. was something called Fish Extender Gifts; and yes! we participated. So, what are Fish extenders? 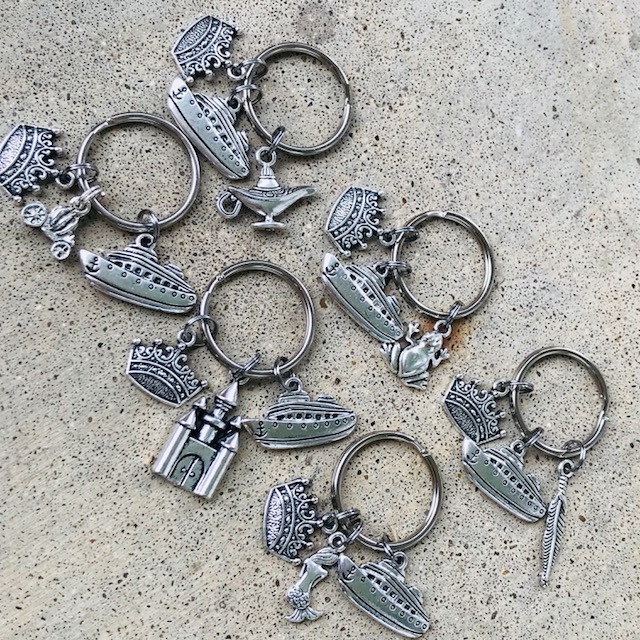 Well a group on the ship gets together, and exchanges small gifts. I have learned that is is a HUGE thing, so I decided to start creating things to list in my shop that would make great Fish Extender Gifts. My most popular items are my keychains. 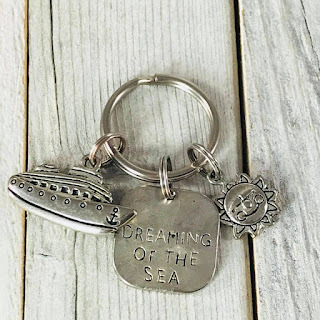 No, Disney is not the only cruise line that people exchange gifts. We usually sale with Carnival, and since 2016, we have participated in gift exchanges on every cruise. So...I don't just cater to the Disney people. 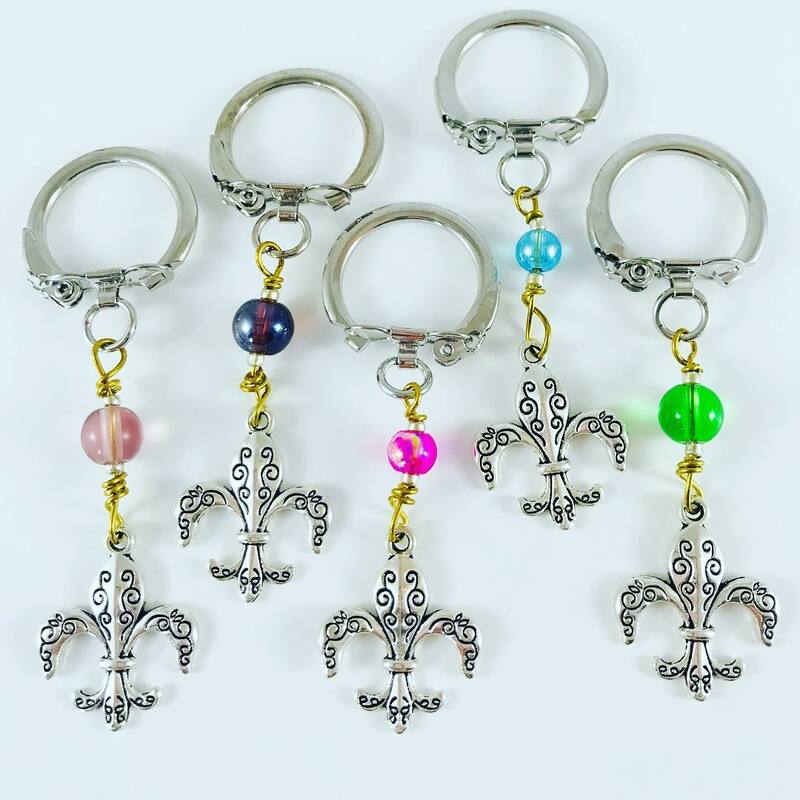 This set of keychains would be great for anyone leaving out of New Orleans! Last year, we sailed on the Carnival Sunshine, and I gave these out. 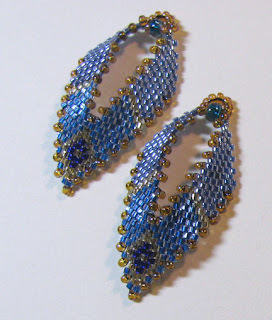 Everyone loved them, and they are actually one of my best sellers. 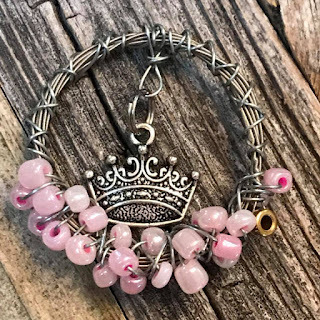 How about some keychains made from guitar strings...FYI...I don't sell the mouse ears, because that would be copyright infringement, but I do sell these and the other style with all types of tropical charms including FLAMINGOS, of course! How about a guitar string princess ornament? On our Disney cruise I made everyone one of these Mardi Gras themed guitar string ornaments. We all tried to give something that represented where you came from. 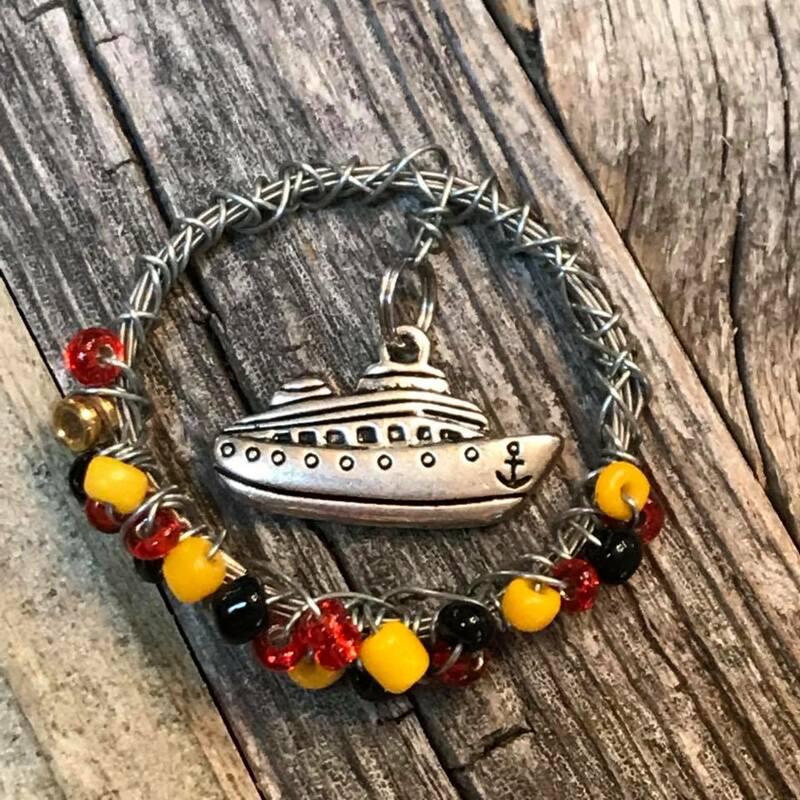 How about a cruise ship guitar string ornament? 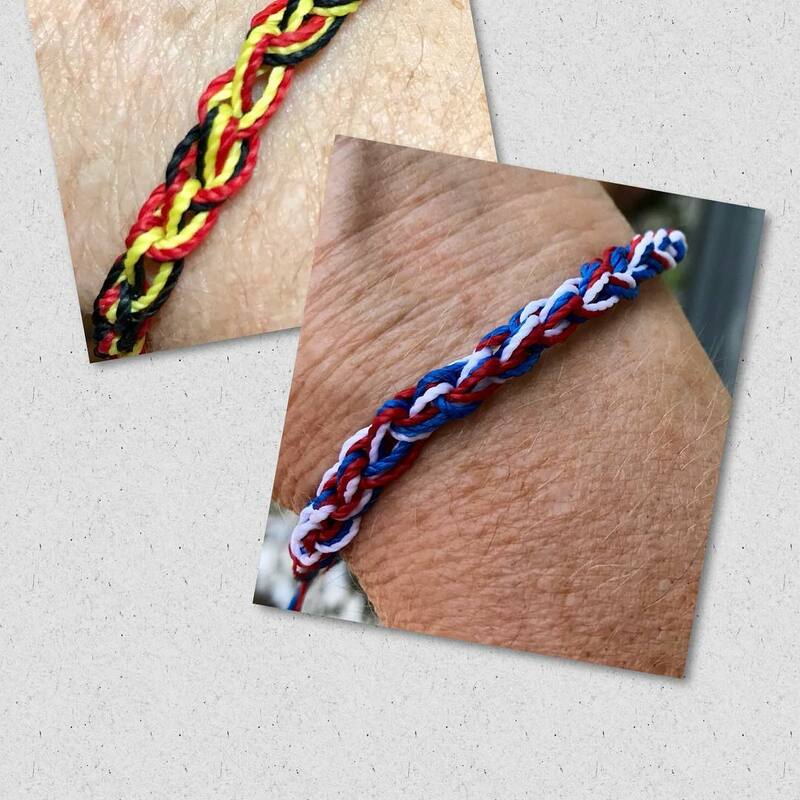 Then of course there are my surfer style waterproof bracelets. 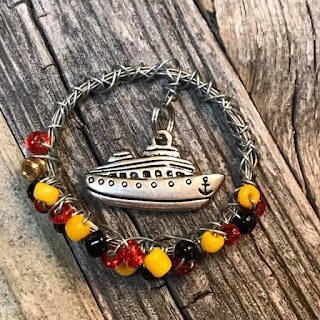 Perfect for a cruise, and they come in a variety of colors! We have our next cruise scheduled for May. Stay tuned for more on that later. 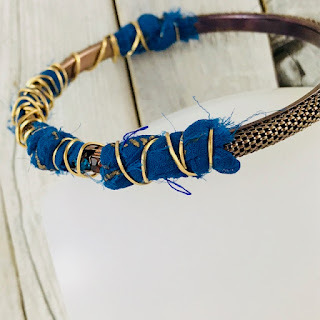 We are already signed up for a meet and greet gift exchange, and yes, I do know what I will be making to gift....my mom will be participating too, and she has already appointed me to make her items too. It's Once Again Time for Some Craftiness! Tammy, of The Crafty Princess Diaries, has been sewing Halloween dresses for Blythe dolls. Go check out her photo shoot with one of her favorite dolls...Tudy. 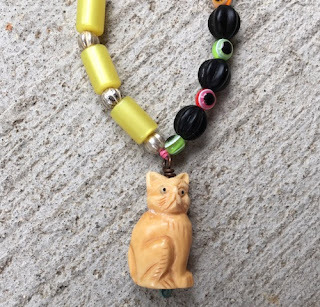 On BeadLove blog, Ann uses a variety of brightly colored beads to make a fun cat themed necklace. 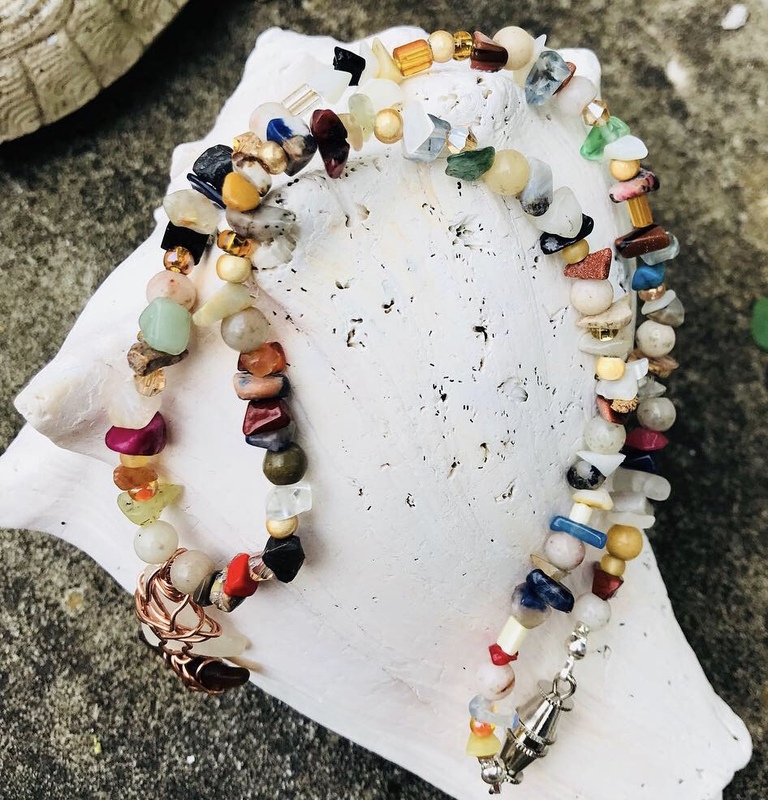 I love how she sorts her beads into this beautiful, bright piece. Pantone just announced their 2019 Spring/Summer Color Report. 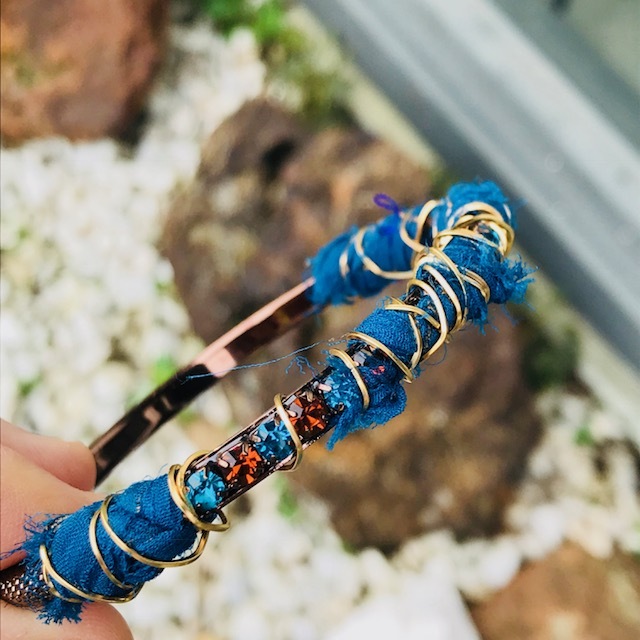 Check out what they think will be the hottest upcoming colors! And...usually the color of the year is picked from this selection. 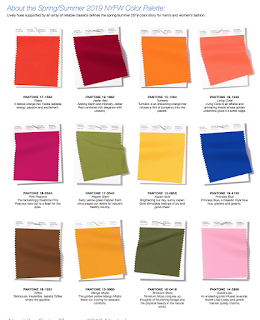 Andrew Thornton asks...What do you think will be the color of the year? 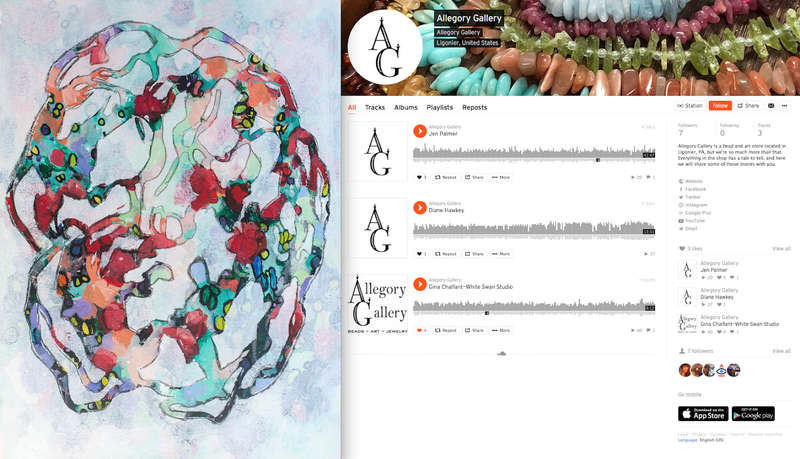 Check out the second installment of Allegory Gallery's NEW podcast! This time they are featuring ceramic bead artist, Diane Hawkey. Terry Jeanette, the Tappingflamingo, steps aside from her norm, and focuses on blood clots...Pulmonary Embolism (PE) and Deep Vein Thrombosis (DVT), and how important it is to be aware of your body and proactive with your health. 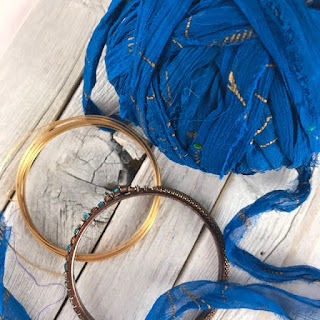 Upcycling Jewelry, Elephant Beaded Necklace, and a Mermaid/Flamingo Tote! A lot of us love to make things. What do you like to make? Here are a few bloggers with some of the projects they have been working on lately. 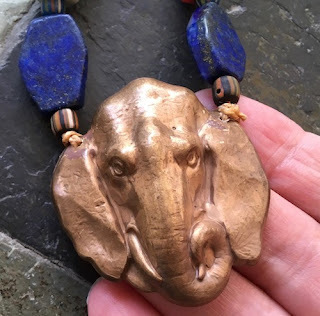 On BeadLove blog, Ann has a substantial elephant stamping that allows her to use some of her larger beads to create a necklace that turns out just as she envisioned! 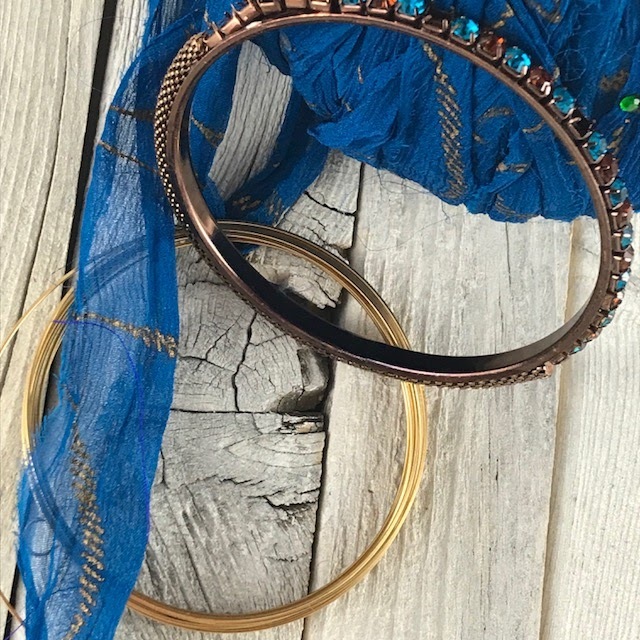 We all have old broke jewelry lying around....What do you do with it? 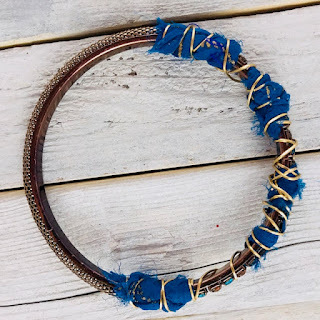 Upcycle it into something better! 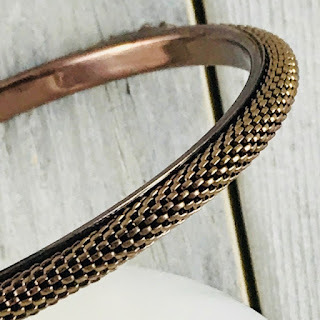 Terry Jeanette, the Tappingflamingo, shows what she did with a broken bracelet. Tammy, of the Crafty Princess Diaries is making another tote. This time she has a custom order through her brand new Kawaii Doll Shop on Etsy. 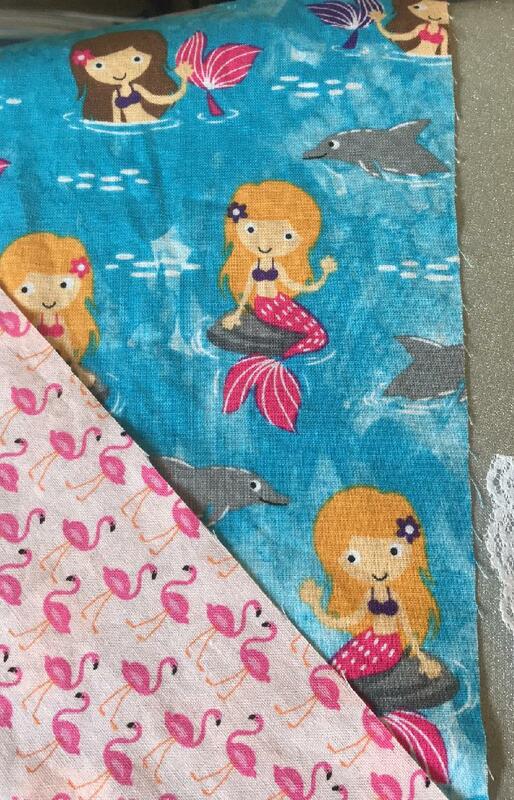 Mermaids and flamingos....just right up MY alley...hmmmm.....I think I may go check out her new shop! After all, you don't have to be a doll collector to buy a new tote...right? 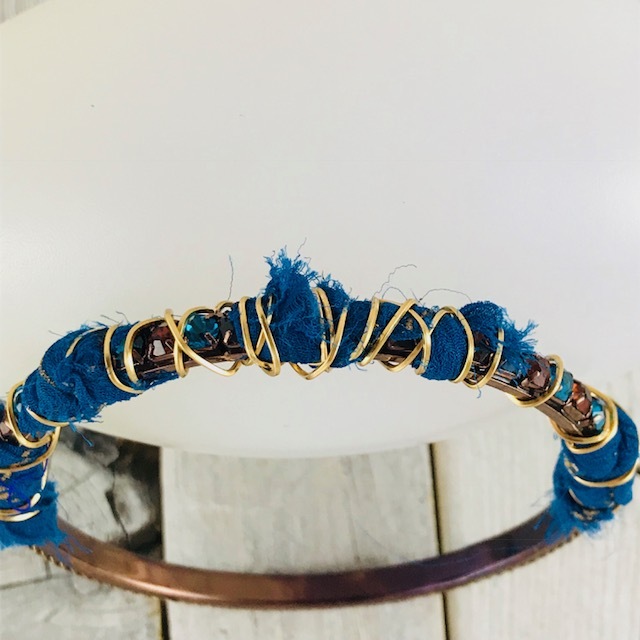 Stay tuned for more crafty projects in upcoming weeks! 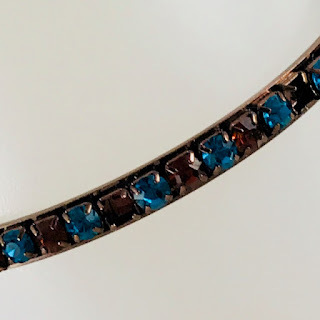 Several years ago someone asked me if I would be interested in a huge bag of broken jewelry. 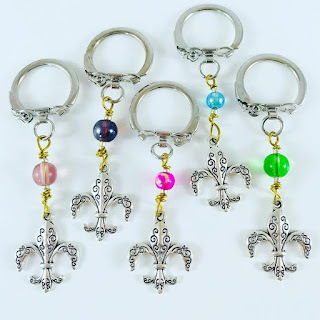 This person knew how much I loved to make jewelry, and he thought I would be interested in going through these pieces and possibly making something out of them. As soon as I brought the jewelry pieces home, I started to sort through everything. I found a lot of interesting things. 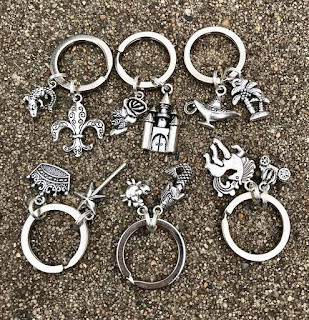 There were necklaces, earrings and bracelets, that were pretty much intact, just maybe missing a jump ring or something else easy to fix. 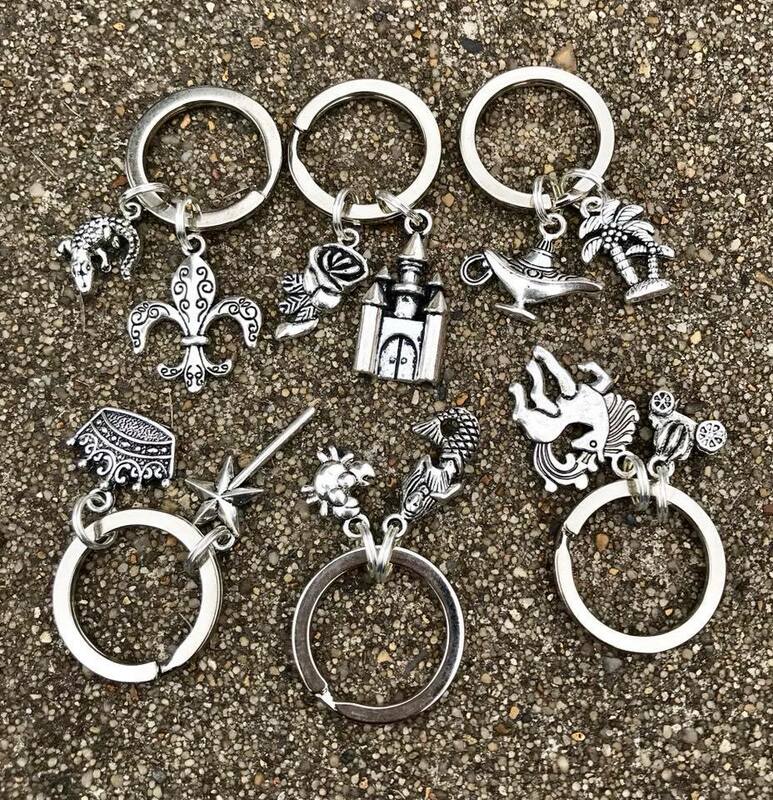 I began to put these pieces back together again, and then donated them to the local Senior Citizen Bingo group. Eventually, I put the bag away...until today. Yep, I got it back out and started going through it again. I decided to pick out a few broken pieces and repurpose them into something much different than they originally were meant to be. 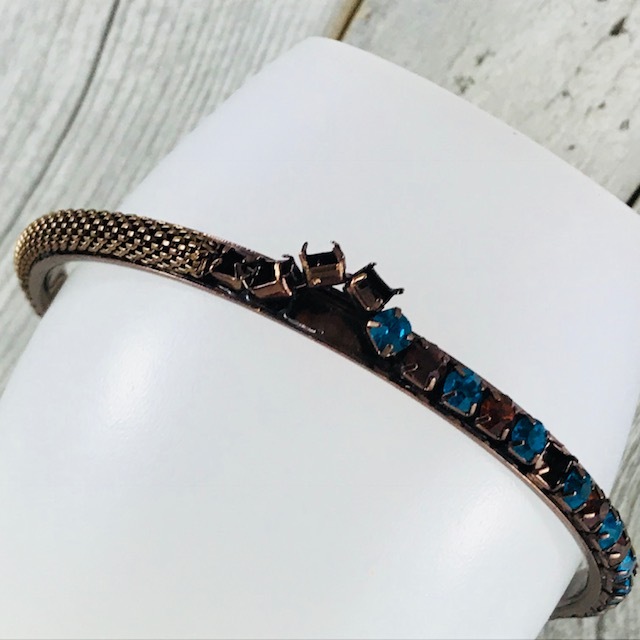 The first piece was a bracelet with missing rhinestones. I knew I wanted to keep the bling on this piece. 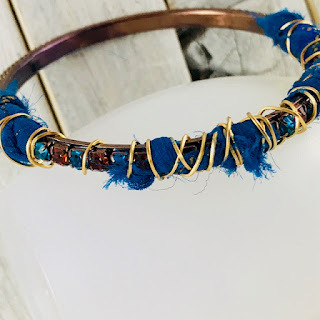 My plan to to take some wire...brass, since the bracelet was brass, and wire some beads onto it. But then I remember this ball of Sari ribbon. The ribbon has a brassy gold pattern on the blue background. It also has different colored rhinestones throughout.